Welcoming a baby into the world is an exciting time for new parents, but, understandably, it’s not without its worries. You’re about to become responsible for a new life and probably have a thousand questions on everything from fetal development to feeding. Thankfully, there’s an amazing group of healthcare professionals in the UK ready and willing to answer all your pregnancy questions. Midwives are not only skilled medical professionals but also a support system during your pregnancy. 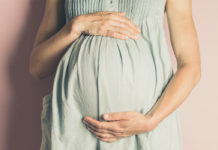 However, according to the UK Maternity Report, recent NHS cutbacks have left midwifery departments overstretched, leaving new mums feeling ‘under-supported’. The report revealed that, throughout their pregnancies, only 1 in 3 women felt they had enough time with their midwife. What could a national midwife shortage mean? New mums are seemingly the latest group to suffer as a result of NHS cuts and shortages. It’s claimed midwives are now having to take on higher volumes of work and additional responsibilities. As a result, spending time with their patients and offering further support is proving difficult. Linda Bryceland, head of midwifery at Private Midwives, explains: “Unfortunately, budget cuts and a fast-growing list of duties means the UK’s extremely hardworking NHS midwives are under more strain than ever. The cutbacks are seemingly leading to an increasing number of expectant and new mums turning to the internet for answers and medical advice. The report states over half of the women asked resorted to consulting the internet for advice when their midwife was not on-hand. Yet, understandably, 38% of women admitted to then feeling anxious about trusting information supplied online. “Whilst the internet now offers a wealth of information on pregnancy, an online search should never replace medically sound advice from a trained midwife,” Linda adds. For those who are able to afford a private service, Private Midwives provide antenatal care, birth care, birth support, and postnatal care. For additional support, parents-to-be can also contact one their registered midwives 24 hours a day for urgent advice. Unfortunately, private midwifery services are not something everyone can afford. Therefore, it’s useful to know how to make the most out of your time with a midwife. It’s recommended that your first appointment, known as your booking-in appointment, should take place at around 10 weeks. If it’s your first pregnancy, the first few appointments can be an overwhelming experience, with a wealth of information heading your way and answers to questions you didn’t even know you had. Bring a note pad and pen. This gives you the chance to note down any questions you might have prior to your appointment and enable you to write them down at the time. Plan your appointments. Ask your midwife for a breakdown of appointments you’ll need. Every woman’s pregnancy is different but, as a guideline, between 10 and 11 appointments are recommended for first-time mothers. For women who have already had a baby, between seven and eight appointments is recommended. Planning your appointments will give you a clearer idea of what you’ll need to know and when. Explore your birthing options. 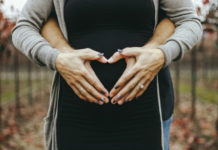 Nine months may seem like a long time, and your choice of birth may change along the way, but it’s important to know what options you have throughout your pregnancy and discussing them with a midwife can help you (slightly) prepare for other eventualities.